Most of us are dependent on owning an operational car. When our cars break down, it is very inconvenient and makes life grind to a halt. Not to mention the added stress of getting back and forth to work, picking up the kids from school or practice, and running errands without a reliable set of wheels. That said, many vehicle owners choose to save money by ignoring maintenance. In the short term this saves some money, but in the long run, repair costs are often much higher due to the neglect. Here are the top ten ways vehicle owners lose money by avoiding maintenance costs. Stretching Out Oil Changes. Oil is the lifeblood of a car. Without the right amount of oil in serviceable condition, all the moving parts that need to be lubricated are put at risk of failure. When a car runs out of oil, very bad things happen. Like ruining an engine. That can be a 10,000 dollar repair. All because we tried to save $40. Waiting to Replace Brake Pads. I don’t know how many times a car has pulled up next to me and drowned out my radio with the screeching and grinding of the brakes. It’s sad because as a mechanic I know exactly how much extra damage is happening and how much it will cost. Driving past the point of brake pad failure is dangerous and expensive. Once the pad fails, there is no protection for the rotor, and the caliper may become compromised as well. This turns a $200 fix into a $1000 repair. Skipping Tire Rotation. Offered as a free service with most oil changes, tire rotation is an easy way to extend the life of your tires and the life of your car. Uneven wear will quickly make tires undrivable, requiring costly replacement earlier than normal. Over the life of a vehicle, this can amount to hundreds if not thousands of dollars. All from skipping a free service. Ignoring the Air Filter. Engines need air to run. And that air flow is carefully designed to optimize the performance of the motor. Not changing your air filter when it becomes clogged and dirty will make your car work harder and produce unnecessary wear and tear on vital parts of the engine. Still, most skip recommended replacement when the oil is changed, thinking they will find the filter cheaper somewhere else. If they forget about it once they drive away, it can be a costly mistake. Taping Over the Check Engine Light. It is estimated that almost 15% of all drivers have a check engine light illuminated on their dashboard and more than half drive that way for more than three months. Those little lights are there for a reason. They let you know that something is wrong and could become much worse. The most common error codes are bad oxygen sensors and failed spark plug wires. Neither is a particularly expensive fix and can be accomplished at home in many cars, but this doesn’t happen. The car continues to be driven, getting horrible gas mileage and possibly ruining other, more expensive, parts, such as the catalytic converter. Driving Out of Alignment. Many people choose to drive a car that pulls hard to one side or has way too much play in the wheel. This is dangerous and will cost a lot of extra money if left unaddressed. When a car is out of alignment, the added stress on the suspension and steering components quickly causes damage. Once the control arms, shocks and struts are compromised, they will need to be repaired or replaced at a far greater cost than the alignment would have been. More wasted dollars due to missed preventative maintenance. No Wash and Wax. One hour a month is what it takes to wash and wax the typical car. A car that is kept clean and given protection against the elements will keep the finish originally from the factory. Otherwise, the clear coat will soon fade, and discoloration will occur. Although this does not impact the drivability of the car, it will cause the car to bring far less money if ever resold. Throwing Away the Owner’s Manual. The owner’s manual is a wealth of information about recommended maintenance for your vehicle. Following the manufacturer’s recommendations for replacement of fluids and belts will save you thousands of dollars if it prevents even one major system failure. Manuals are readily available online for all vehicles. They are a small investment to save big dollars. No Coolant to Stay Cool. Once your car overheats, do not add water and keep driving. This is a quick way to destroy your motor. Determine what caused the overheating, fix the problem, and then continue driving. Replacing a thermostat for $100 is far better than fixing a warped head for $1500. Tire Pressure. Keeping your tires at the proper tire pressure will increase the life of your tires by up to 25%. If you do not have a compressor, many gas stations offer air for as little as a quarter. Plus, the vehicle will handle better, and the suspension will last longer. Big benefits for 25 cents. 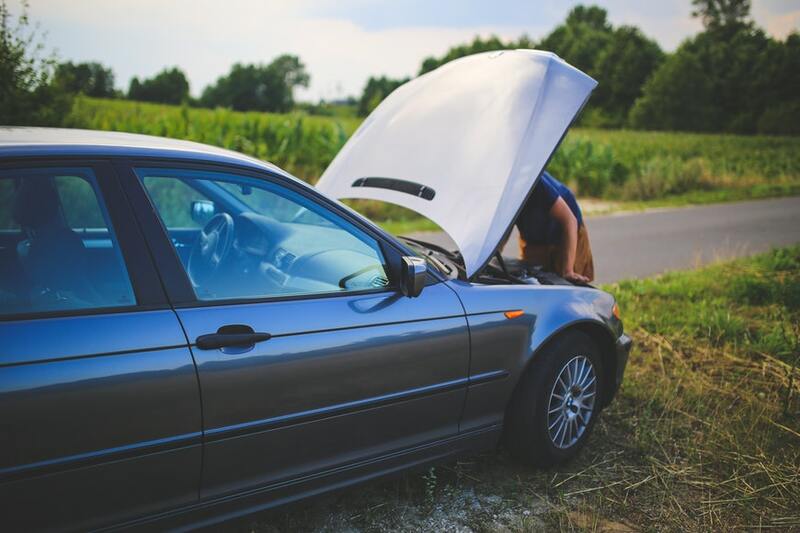 These are just a few of the ways that car owners lose money by not taking care of routine maintenance. I know there are times when saving a few bucks is important but if you knew those savings were going to cost thousands down the road, you might prioritize differently.